Tell us a bit about yourself - your academic background, and how your career path led you to Lifelong Learning Platform? Education is the revolving centre of my personal and professional path; it has always been and will continue to guide my actions. My studies focused broadly on civilisation and language, but also in administration, economics and most of all social studies. I was originally a teacher in primary school, and then approached the world of associations in France. In the ‘80, I joined several organisations for non-formal education and training, putting emphasis on all education sectors. Today, I supervise the international team of La Ligue de l’Enseignement, the oldest education organisation in France - it was founded in 1866! It is a confederation of 102 federations and a network of 30 000 local associations. Through La Ligue, and SOLIDAR (members of the LLLP), we contributed to the foundation of the Lifelong Learning Platform. You can say that I was there since the beginning. Can you explain to us what exactly Lifelong Learning Platform is? When was it founded? What is the mission and objectives of the association? The Lifelong Learning Platform (you can also call us “LLLP”) is an umbrella that gathers over 41 European organisations active in the field of education, training and youth, coming from all over Europe and beyond. We are the platform for education, and we truly have an holistic approach. You can see it in our membership: we have adult education, VET, youth organisations, volunteers, scouts, sports organisations, university, schools, teachers, parents, early-childhood, covering the spectrum for all education sectors and age groups. Currently these networks represent more than 50 000 educational institutions and associations in formal, non-formal and informal learning. Their members reach out to several millions of beneficiaries. Founded in 2005, LLLP’s mission is to voice citizens’ concerns on lifelong learning issues, and to propose concrete solutions, based on the expertise, competencies and experience of its networks, for lifelong learning to become a reality for all. We believe that it is essential to create more complementarity and continuity between formal, non-formal and informal learning. The Platform believes education is the key to foster equity, social cohesion and active citizenship. Thus, the objectives of education and training should not only be described in terms of employability or economic growth but also as a framework for personal development. 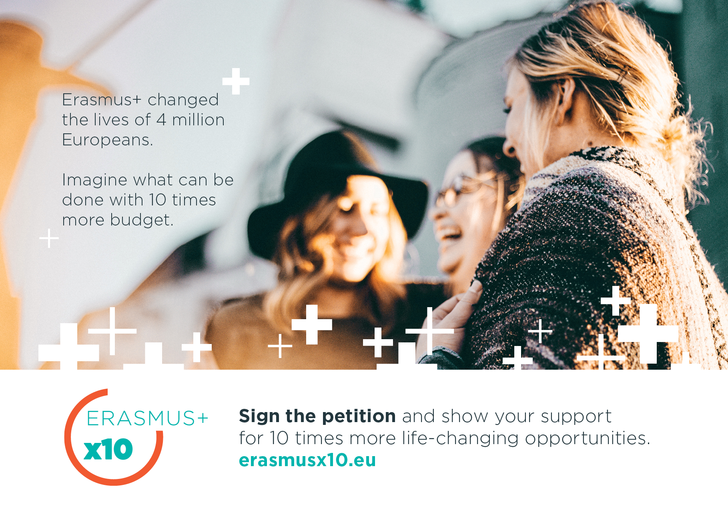 In 2017 you decided to launch #Erasmusx10 campaign. How did the idea emerged? 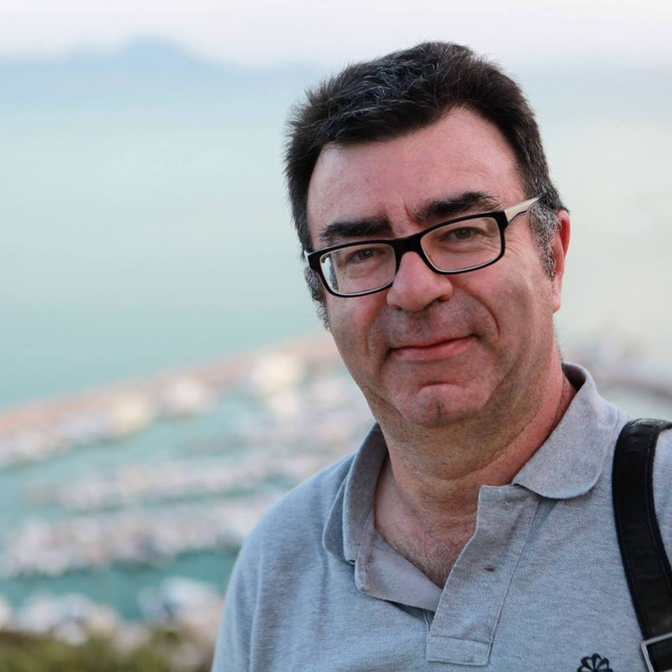 The idea for the Ex10 came out of an Erasmus+ Coalition meeting. The coalition is an informal gathering of civil society organisations actively involved in the Erasmus+ Programme, initiated by the LLLP together with the European Youth Forum, where we share updates with our members and interested stakeholders. We also contribute to the overall discussion and policy developments of the programme. Well, on the opening ceremony of the 30th anniversary of the Erasmus, in his first declarations upon the new programme Juncker claimed that “we need to be nine times more ambitious”. We saw an opportunity, jumped on it and said to ourselves: “let’s round it up, let’s go x10!” That’s how the idea for the #Erasmusx10 was born. What are the aims of the #Erasmusx10 campaign? What do you advocate for? The title is quite straightforward, we want to see the budget of the Erasmus+ increased by ten times. All stakeholders, including the EU institutions, agree that the programme is the most successful European initiative. Why not capitalise on this success? We are aware that it is a rather ambitious goal, but in this historic moment we have the chance to shape education, mobility and research to make them meet societal needs and hence to make EU progress towards a more inclusive Europe, where education and learning are at the forefront. We believe that investing in the Erasmus+ is a win-win partnership, in that it could really turn it into the education programme of the European Union. Are you satisfied with the results achieved so far? What are the next steps? Since the beginning of the campaign we managed to gather transnational and cross-sectoral support. We mobilised European organisations, politicians, as well as the beneficiaries and people on the ground. We are being acknowledged in the political discourse: the CULT Committee expressly asked the Parliament to refer to our position, and this makes us happy. We also have a petition that gathered thousands and thousands of supporters (sign it here!). But, of course, there is room for improvement. The next steps are twofold and go in this direction. On one hand, we want to mobilise a larger share of the public opinion, reaching out to the ground and to national entities; to this extent, tune in on the Ex10 channels, as some news will be announced in the coming weeks. On the other hand, we will continue to seek to influence the negotiations of the next MFF, both on the EU institutions and in regular talks with the permanent representations. After all, that’s our goal. What are the future plans for LLLPlatform? Can we expect interesting new projects and initiatives in the field of lifelong learning? Of course you can! Lifelong learning is a dynamic concept, and so are the activities of the Platform. At the moment, we are tackling the overarching topic of “Lifelong Learning Culture”, our topic of the year. We already explored synergies and cooperation between education and culture on a joint event “Culture and Education for All” earlier in March. We will continue to do so during the Civil Society Days 2018, and most of all during our Annual Conference in Vienna. It will be a moment of reflection and production, with diverse stakeholders committed to making a new partnership for rethinking education, so make sure to register and contribute to the discussions! Linked to this, we will also shortly launch the call for the LLLAwards 2018, where we invite stakeholders to submit their initiatives and best practices in the topic of choice: this year we will focus on learning environments, validation, and citizenship within the Lifelong Learning Culture! We also work actively with international partners on EU-funded projects in the fields of: innovative methods for the assessment of the competences of vulnerable groups (project InnoVal), adult education for a responsible and safe use of internet and digital devices (project DIGIT), as well as the development of youth workers’ skills (COMANITY). All of the Platform’s work will feed into the iconic LLLWeek 2018 (3-7 December). There is a lot in the oven, so make sure to stay tuned on our channels! Is there any advice you would like to give to the youth in Europe? I would advice to never stop learning. From your first day on this planet till your last, life is a continuous journey across your learning experiences. Thus, the best advice I can give European youth is to embrace the learning dimension of life in all of its forms. Interview conducted by Evelina Semaškevič, Sponsorship&Outreach Manager in BETA e.V.